We are on the cusp of the new F1 season and there is a plethora of season previews for you to choose from. So instead I’m offering up an ‘alternative’, slightly tongue-in-cheek 2017 F1 season preview. There won’t be any predictions on who will become the 2017 F1 World champion or tips for the Constructors title. Instead I’m going to give my predictions on some alternative ‘awards’ that will be settled over the 20-race 2017 F1 season. Most crashed car of 2017? After several trips in to the gravel during testing, rookie Lance Stroll is an easy pick. The Canadian did however get his act together at the second test but was off the pace as a result of a more tentative approach. How 18 year old handles the need to blend speed with brining home valuable points will make him a definite finalist for this ‘accolade’. The fact the midfield is shaping up to the tighter in 2017 than it was last season will only add to the spice on who wins this one. Haas and Renault look like they might be joining Williams and Force India in the chasing pack. 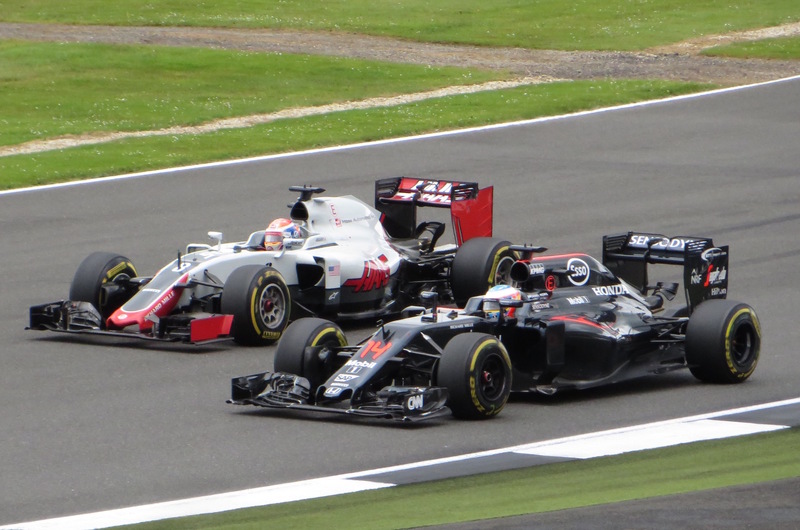 McLaren should make progress to further congest the midfield by the halfway point in the season. Which all adds up to potentially even more frenetic action and incidents in 2017 – which may or may not involved Stroll. Add in to the mix the physicality of the new breed of F1 car and its not just a case of picking out the rookie driver for this one. My pick: Pascal Werhlein’s Sauber – the young German is going to be under serious pressure in his second F1 season. He has to consistently out perform Erikksen and show Mercedes he is good enough to stay in their young driver programme (let alone graduate to the top team). A recipe for disaster in my book that could make the antics of Lance Stroll look reserved. Will Felipe Massa retire (again)? According to former Williams tech chief Pat Symonds, Massa’s retirement was less about accommodating Lance Stroll and more about the team being unable to afford the Brazilian. With the cash injection the team received from Stroll’s arrival, that is one consideration that might not factor for 2018. Whether Massa retires again or not depends on multiple factors: how he and Lance Stroll perform; whether Bottas looks like a suitable long-term option for Mercedes; and what the likes of Vettel, Alonso and Hamilton do as their current contracts come to an end. I expect Felipe to stick around in to the 2018 season with Williams. Bottas will prove fast for Mercedes but not fast enough to upset Lewis Hamilton, thus earning himself a contract extension. And if Ferrari come good on their pre-season form, Vettel will be less interested in a move to Mercedes in 2018/19 than he might have been (that could have punted Bottas back to Williams). How costly will the loss of Lowe & Rosberg be for Mercedes? Fans and the F1 media are underestimating how important Paddy Lowe and Nico Rosberg were to the juggernaut that is Mercedes AMG F1. At the time of Rosberg’s shock retirement Lowe was quoted as saying it was like ‘losing a corner of the car’. Lowe himself has been instrumental in creating the all-conquering Mercedes team. The loss of one or other would be a blow but the loss of both is significant. 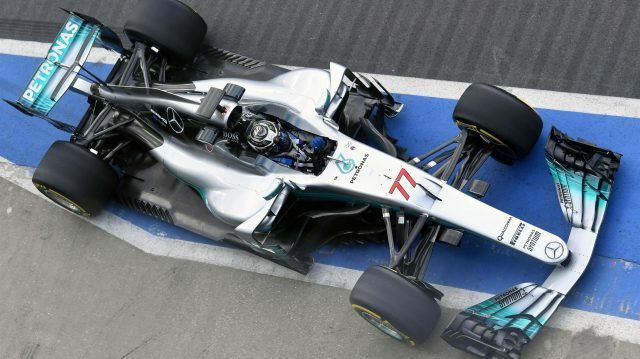 In Bottas Mercedes have a solid replacement but the jury is out on whether he can match Lewis Hamilton in the way Rosberg did. Realistically the Finn cannot be expected to step in where Rosberg left off right away – consistently matching Hamilton in the majority of races. James Allison slips in to replace Lowe from a technical perspective but I am not as convinced as many are of his top level status. His previous roles at Renault, Lotus, Renault (again) and Ferrari failed to deliver championship winning cars*. By contrast Paddy Lowe has been instrumental in winning 7 World championships during his time in F1. With more pressure coming from Ferrari and Red Bull in 2017, the loss of Rosberg and Lowe is going to be significant for Mercedes. How significant remains to be seen. Bahrain usually wins this one hands down but Baku ran it close in 2016. The new regulations for 2017 however could offer up several contenders. Faster and more aero-focused cars mean Monaco could be even more of a snooze-fest than usual. Ditto Hungary. Fast circuits like Silverstone, Spa and Montreal could become processional as drivers struggle to follow the car in front. Wider cars mean overtaking – particularly on street circuits – will become that much more difficult than usual too. My pick: Baku – even with a seemingly never-ending start/finish straight, the combination of twisty ninety-degree turns and wider cars will make this one good for only one thing: an afternoon nap. Most exciting race of 2017? Circuits like Sepang, Monza and Shanghai where monster straights are followed by anchors-out braking in to a hairpins/chicanes could be the scene of the most overtaking in F1 this season. There is no doubt that the increased aero will create much more turbulent, dirty air for the following car. Circuits with flowing turns/high speed corners before an overtaking opportunity by contrast will not see as much action. My pick: Monza – with higher top speeds, potentially longer DRS zones and throttles wide open in to the Rettifilio, don’t blink! Which team will finish last in F1 2017? At first glance you would say Sauber. It’s logical: smallest team left on the F1 grid with the smallest budget and least resources. But then again, if their drivers can keep their noses clean and their Sauber-Ferrari package proves reliable if unspectacular, things might stack up very differently. McLaren Honda are rumoured to be unsure whether they will actually be able to finish the opening races of 2017. Toro Rosso were plagued by problems with their Renault power unit in testing, as were the Renault works outfit. Haas looked quicker in testing but still seem unable to rectify the braking issues that saw them crash out of multiple races last season. A solid opening few races from Sauber combined with poor reliability for some or all of the McLaren/Toro Rosso/Renault/Haas quartet could see them rack up points early on. My pick: McLaren-Honda – the final nail in the coffin of the once great partnership will be finishing last in the constructors championship. Reliability will be an issue for the team in the opening races. The partnership will not be happy with reliability only and will push development hard to try and make up the ground lost in terms of performance. Net result: lots of failures, lots of grid penalties and not many points. Will McLaren and Honda divorce during the season? As was the case in 2015 and 2016 McLaren Honda will be playing catch up throughout this season. Without Manor on the grid, they could easily face the ignominy of fighting simply to stay off the back of the grid (even before the allocation of what will inevitably be a raft of grid penalties) during the first half of the season. Of course the partnership will not end during the 2017 season itself. How long it survives thereafter depends on two things. First, how much catching up Honda can do during 2017. And second whether McLaren think they can commercially survive another season of abject failure by their standards. For the good of F1 Honda needs to get their act together quickly. Their gains made in 2016 were definitely impressive and the best of all the PU suppliers. The radical redesign of their unit to ape the Mercedes benchmark seems however to have made most (if not all) of those gains obsolete. *Allison was part of the Renault team that took Fernando Alonso to his 2 World titles in 2005 and 2006. However Allison joined the team in 2005 so his input in to the 2005 and 2006 cars can be considered limited.